Demi-jet helmet in ABS material with eco-leather band and long visor. - Adjustable, transparent scratch-resistant visor. - Steel ring to hook helmet on vehicle. - 3 matt colours and 3 glossy colours. - 5 sizes from XS to XL in a double shell. - Accessories: smoke-tint visor, yellow visor. - Ready for the new communication system Bluetooth. Electronic alarm E-1 with two buttons remote control. For cables see alarme page. remote control. Auto power supply system. 33 litre top case kit, including black-painted rear carrier. Made of shock-resistant, scratch-resistant polypropylene. Colour-matched to vehicle. Universal leg cover. Does not required to be clipped on the vehicle. No tools required. Wrap around the driver waist with velcro system. Easy to store under the seat or inside top box (when available). Main features: waterproof, inner quilted padding, black colour, AWATECH logo, reflector stripes, external pocket, cover bag included. Vehicle cover with openings for accessories. Black colour with reflector strip, transparent plate window and chain ring. 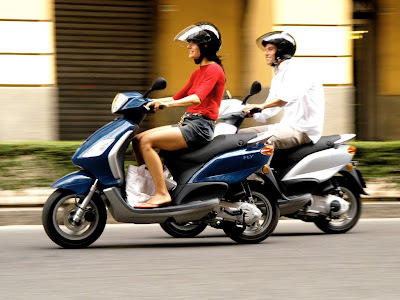 Piaggio logo. Windscreen in shock-resistant, scratch-resistant methacrylate with a rubber trim. 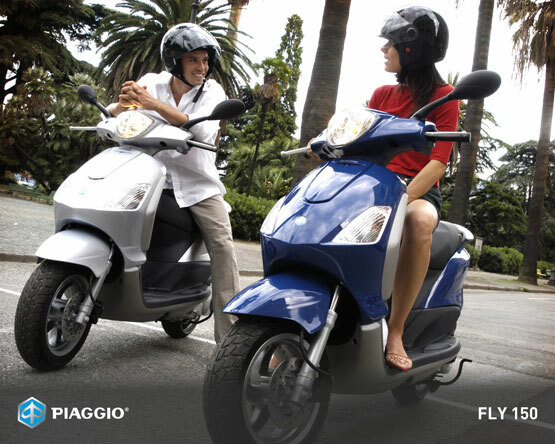 Tested and approved by Piaggio. 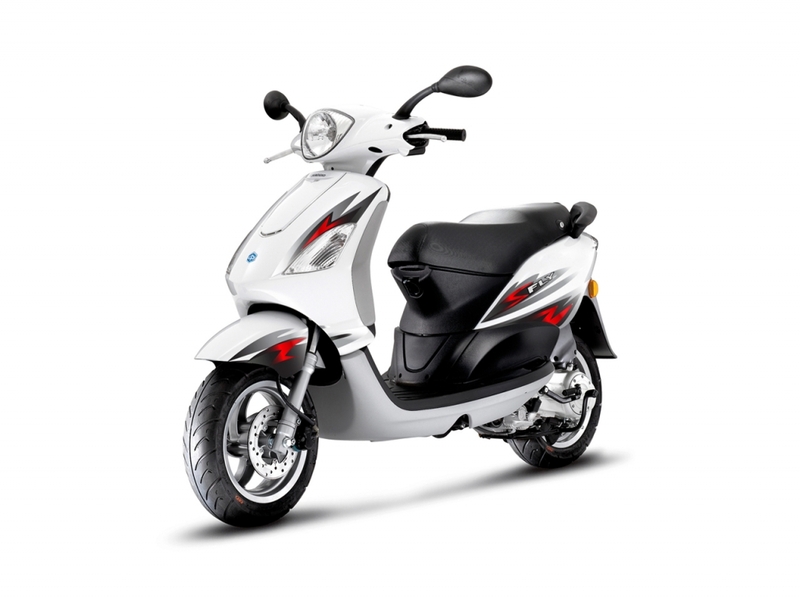 Piaggio Fly 125 is the latest launched two wheeler in India. 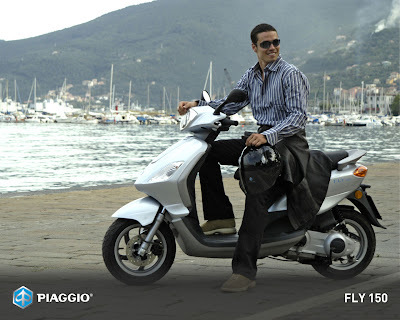 Piaggio brand is famous all over the world. 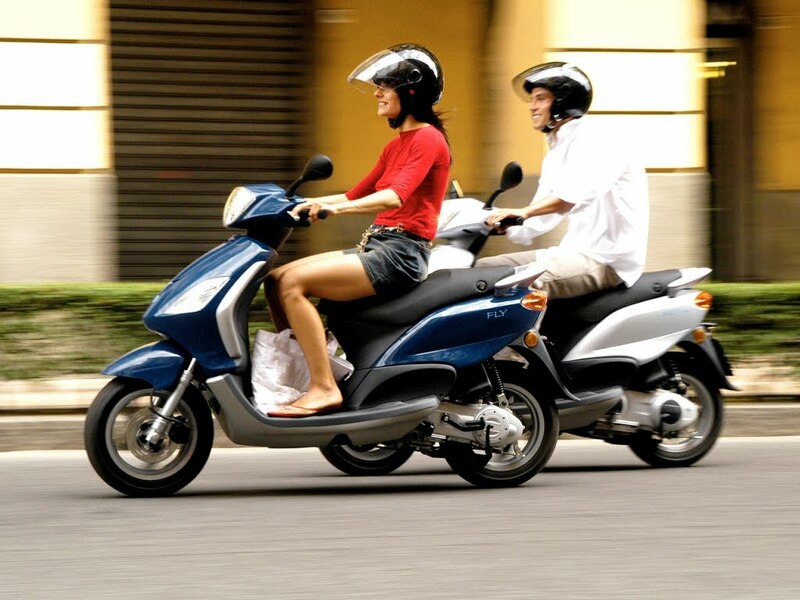 Piaggio Fly 125 is the awesome scooter which gives awesome mileage and great performance. It is going to win lots of hearts.